Previously, I wrote about doing the same with the Asha 311. 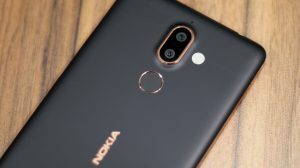 Now luckily, I got hands on an Asha 310 phone, so thought I should write this guide as well to help all those who’re frustrated with the camera shutter sounds which the phone makes when clicking a picture. Just to let you know, Nokia implemented this restriction so that you can’t take picture of the next person without him/her noticing the click. So please don’t attempt clicking someone without his/her permission as this hinders with the privacy of the others. This article is only important if you are from a region where the option is not provided. Look into your camera settings page and continue only if you don’t see an option as shown in the picture below. PS: This was only tried and tested on an Asha 310. However, there’s a good chance that this will work on Asha 308 as well being there’s a little difference between the software of these phones. The job is easily achievable as all you need to do is to restore a phone backup file. Although it will only play with the settings of the phone and reset most of them to default, I’ll still recommend you to create another full backup of your phone which you can restore in case there is a problem. Download the backup file (named Camera Sounds 310) from here. If you downloaded it on your PC then transfer it to your phone. If it was downloaded on the phone itself, move to the next step. The phone will restart and you’re done. You’ll start seeing an option on the camera settings page to turn the sounds On or Off. Keep this backup file handy as you’ll be needed to repeat the steps in case you factory reset your phone. It didn’t work on my asha 310,please help me.. I tried it but it didn’t work in my asha 310. What should I do now? Pls reply! This trick is successfully worked on my Nokia Asha 311 but i can’t use this with my Nokia Asha 308 please do something. I need this for my Nokia Asha 308, again Please. I don’t have a 308, so can’t help here. You can however use MobiMB to delete the variants file and the option will be available in your 308. 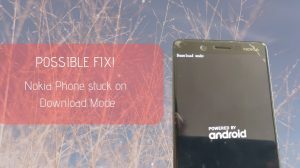 Connect it to your PC using MobiMb and delete the Variants file. Bro i am using asha 308…i bought it in march 2013…bt nw a days i am facing a pblem dat the phone restarts(gets switched off and then on) when i am using facebook…whenevr i browse sites other then facebook this pblem donot show up…i am facing dis pblem in uc browser and opera mini..i reinstalled the browsers bt still the pblem persists…is there any solution and why is dis happening? I tried it on nokia asha 308 but it is not working. plz help me. hi sir it’s not working I have restored the backup for 2 times and it still doesn’t show a Camera Sounds option in camera settings…???? Can you suggest any good ebook reader for asha 306 ??? I agree. But I wasn’t sure if this will work on the 306 or not. It’d have now overwritten the Xpress Browser and reverted back to the default browser. You can install the Xpress Browser from http://download.browser.ovi.com, but the icon will go to the end of the menu (which you can re-arrange later) and yes both the browsers need to stay on your menu now. Ok… Thnk u vry much for help…. Where i can get both these firmwares…original nd modified having sound feature… And isn’t this risky to flashing at home..??? Actually not really modified. The camera sounds option actually exists in all the firmwares, but due to government regulations, its disabled in India and most of the Asian countries. But it exists in the firmwares of devices sold in American Subcontinent. Any way, pls find a way for my device also for sound off of camera asap…. When my phn is on standby mode nd i gets a notification then it flashes the screen but there is no sound even on general profile.. I dont like because i didn’t notified when the cell is in my pocket. It is experiencing some memory handling issues. Have you updated your phone to the latest software available (newer versions are cutting out on functionality though). If nothing else helps, you’d need to get your phone re-flashed. Bro… I have done wid my nokia 305 succesfully. But now my browser and store are not working…. Pls suggest me what to do.??? singhnsk, Thanks for you guide on the camera sounds for Asha 306. It works greatly. But it appears that the phone is lagging a bit and is taking more time to load apps, and to restart. Also are there any more tweaks that can be made in the c:\ directory to improvise the phone???? How can i turn off camera sound in nokia asha 305 ? Ya bro still d camera sound option was not available in d settings.. Pls help?? Sir please help me out of the shutter sound problem on Nokia Asha 305 . How could I shut off the camera sound? 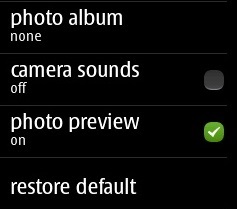 Ya bro still d camera sound option was not available in d settings.. Pls help? Bro pls help me.. I downloaded ur backup file n restarted my nokia 310 but stil d camera sounds r ON.. Wat should i do bro? 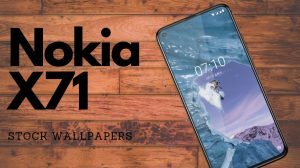 can get some help from you.my nokia 5330 has lately been having a certain problem where it looses some of the default apps like the mobile subscriber and camera..it takes long to respond and sometime it even fails to do so. could it be technical problem or what. I really need and i will be great-full to get it back. i don’t mind having 2 icons its OK as long it works. thanx alot for the camera sound off. I only have one problem with my asha 311. The nokia maps(default app) disappeared and when i try to download it from the store am told that its not available for asha 311. Can you help please. Start sound shouldn’t play in silent mode. No other way besides that. Sadly, minimizing is not possible for these java phones. Thanks admin….is dre any way to change the menu bckground?..whn we apply themes only notification bar,dialler and the wallpaper(which cn b seen only on lckd screen) changes…. Then you can delete the variants_defaults and user settings file from Phone’s hidden memory and that will remove any variant specific restrictions. Okay. Follow the below guide to explore your phone’s memory. Just hope that this works out. Now come a folder up and open variantsdefaults. Also delete the one file that is present inside here. Finally unplug the USB and pull out the battery (do not turn off using the button). Reinsert the battery and restart the phone. But remember, some things might reset to default! A vry grand thanks fr ur sugstion..i followed ur steps and sucsful in trning off the camera sounds..is there any way to delete the GALLERY option or to hide photos from the GALLERY in nokia 308?…becz of ths option prsonal photos can’t be stored in the memory crd..
hmm.. If you manually change the properties of photos to hidden, they shouldn’t show up. But that means they won’t show up anywhere, neither in the gallery nor through the files. Another way is to create a folder inside the cities folder (where Nokia maps content is stored). Anything in the cities folder is not indexed in the gallery or videos section. So you can keep your photos there and see them whenever you wanna by browsing to e:/cities/FOLDER_NAME. I tried this. It worked. But I didn’t delete the “user_settings.wbxml” & “user_settings_backup.wbxml” file. It still worked, and I didn’t lose any of my settings.